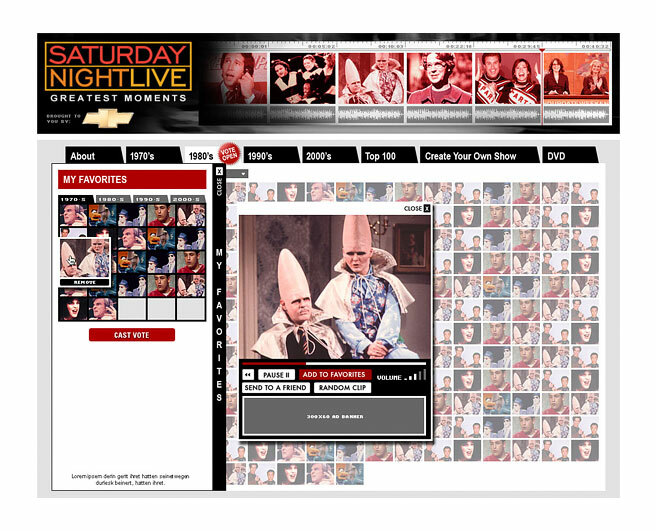 The concept was to give SNL fans the chance to pick their favorite clips from the rich SNL history and those clips would eventually make it onto a SNL Greatest Moments DVD. We explored different options, like a mashup version, fans could put together their specific clips and play order, after submitting an individual DVD would be just burned for them . Sadly the project was canned in the last minute, before going live.